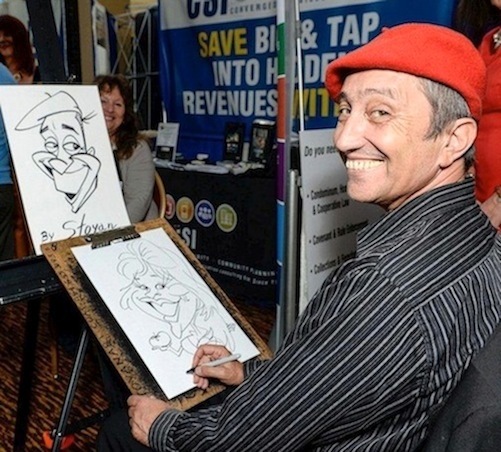 Caricatures on paper, napkins, T-shirts, tiles and more, LiVE at your party!!! Free traveling wthin 45 miles of Fort Lauderdale! For all kind of Events:Conventions,Trade Shows, Corporate parties, Promotions,Engagement parties,Bar/Bat Mitzvahs, Teen parties,Sweet Sixteen events, Birthdays,Anniversaries, Graduations,Proms, School, Colleges and Universities events Yacht charter parties,Company picnics, Fundraisers,Grand Opening, Holiday Parties,Sales Meetings and more. 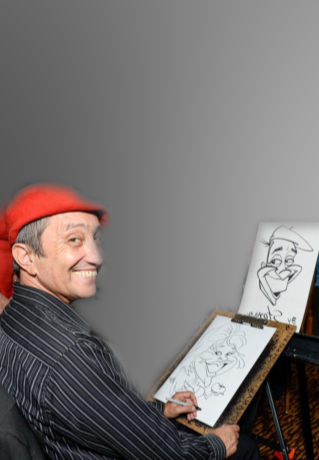 We can also draw a gift caricatures from your photos, illustrations and caricatures on T-shirt.